Interactive food pop-ups have become increasingly popular, and now there’s finally an exhibit that showcases one the world’s best foods — pizza. 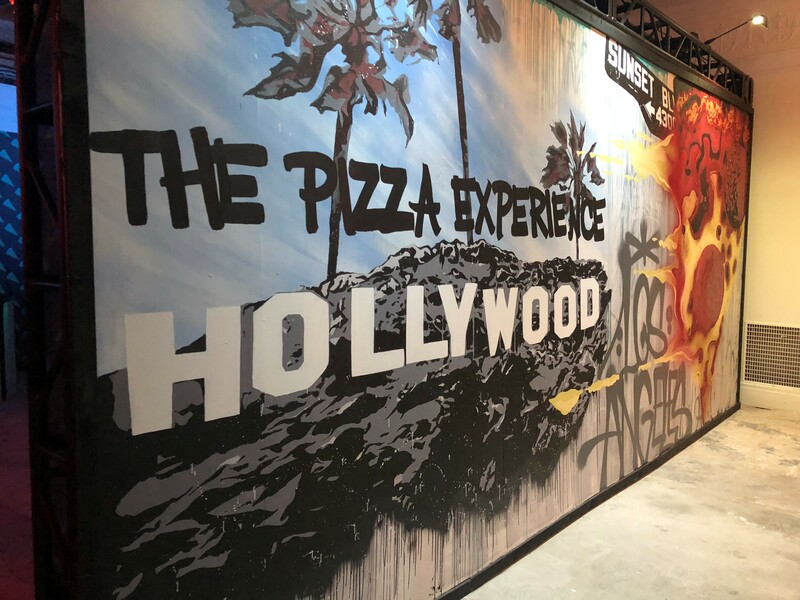 The Pizza Experience has arrived in Pasadena with more than 14,000 square feet of pizza-themed interactive rooms. And if that isn’t enticing enough, each visitor will leave with at least one free slice of pizza upon their exit. The multi-sensory museum offers pizza snacks throughout the exhibit, and multiple pizza-designed rooms that will have you generating Instagram content for weeks to come. There’s a pizza night club where you can fulfill your DJ fantasies, a pizza fitness gym, a gallery where the structure of pizza is finally awarded through re-imagined classic works of art and so much more! Don’t let your emotions be tossed and rolled like dough by heavy traffic and extreme parking prices. Go Metro instead! Take the Metro Gold Line to Memorial Park Station — the Raymond Theater is just a very short walk away. But wait! If all this cheesy goodness wasn’t enough, going Metro also means you’ll have the chance to save money on admission. Receive $5 off your tickets by using the code “metrodiscount314” when purchasing tickets online. Note: attendees must show their TAP cards when checking in at your scheduled entrance to the museum. The Pizza Experience is open now through January 29, 2019. Ticket prices start at $30, before your Metro discount. Lastly, just one final important reminder for your consideration: pineapple DOES belong on pizza.